The Kameha Grand Zurich stands apart from traditionally sterile executive lodging, thanks to a whimsical treatment by the Dutch star. The distinct characters of the hotel’s themed suites, all wildly different, are expressed in the details. The Ghostwriter suite, for instance, features an oversized Anglepoise lamp, a parchment-themed rug and a coffee table made of books. You’ll find the notion expressed in walls that look so convincingly like chocolate bars that you’re prompted to touch them to see what they’re made of (padded leather); or in the massive pasta dish sculpture, some four metres across, suspended upside down from the ceiling of L’Unico, the Italian restaurant on the ground floor. Left: In the Princess suite, peonies and white-on-white ornamentation frame a vanity. Right: A mural of sporting ­medals, a working treadmill and floor­s with a racetrack motif identify the Workout suite. 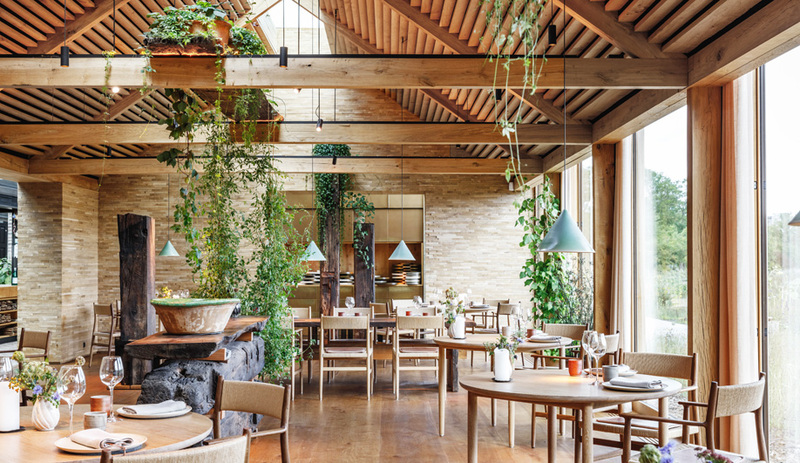 Yet for all of the drama played out inside, the hotel, designed by Swiss firm tecArchitecture, doesn’t distinguish itself sufficiently from its suburban industrial park surroundings. Despite the sleekness of the striated exterior, it struggles to claim its place among the many apartment blocks in the city’s Glattpark district. The Kameha really is all about the interiors. Once you step inside, though, there is never not something to look at. All of the details are aggressively local – if you can call features as playfully outsized as the enormous brass cowbells hung in a row above the front desk “details.” Nothing is subtle or understated. Wanders treats his Swiss reference points the way Gianni Versace used Roman details, as anchors for explosions of overstatement. Michael Najjar’s Space suite channels a sci-fi vibe, with references to lunar rovers and the Hubble space telescope. The shisha lounge, with its round, Persianesque carpet made to look like a pile of overlapping rugs, resembles the interior of Barbara Eden’s genie bottle. 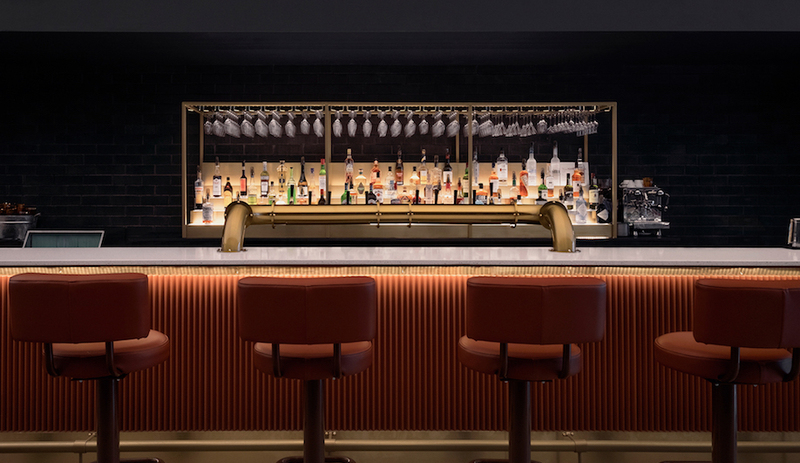 The smokers’ lounge, styled like a Moooi showroom, features large backlit photographs of smokers, including one of David Lynch; and the ground-floor bar is decorated in a motif of large gold coins. The closest thing to it in the world of hotel design is Philippe Starck’s work for SLS Hotels, but even Starck’s elevator interiors, lined with full-size portraits of people staring out at you, seem tame by comparison. From time to time, you’re reminded that this is a business hotel, as you walk past a half-dozen or so conference rooms on your way to the elevator, or at the bar when your drink comes with a charging disc you can use to power up your phone. The perforated wall panels in the shisha lounge demonstrate Wanders’ love of ornamentation. For the most part, though, the place is explicitly realized as a counterbalance to the seriousness of the business at hand, a reminder from one of Europe’s more ludic architects to the stereotypically dour Swiss business class not to take itself too seriously. This is most evident in the 11 themed suites. I stayed in the Fair Play suite, which came with a regulation-size foosball table, and a punching bag complete with gloves. Elsewhere, there’s the Princess suite, done up in feathery dove greys and yellows, with a vanity table in the centre of the room; and the Serenity suite, the Watchmaker suite and the Burlesque suite. The pièce de résistance is the Space suite, designed by German artist Michael Najjar. At 115 square metres, it’s more than double the size of most other rooms. The ceiling and floor display photographic moonscapes, with an astronaut’s glove sticking out of the wall as a sconce; the under-lit bed seems to hover just above the floor; and the modular hexagonal coffee tables, with complementary sofa and easy chairs, are straight out of a rocket age vision of the future. It comes as no surprise to learn that Najjar has already bought a ticket on Virgin Galactic and plans to be the first artist in space. Though playful, the Kameha delivers comfort where it counts, with spacious, well-appointed bathrooms. From the main train station, the Kameha Grand Zurich is 25 minutes away by bus ($7), or 12 minutes by cab ($55; Zurich famously has the most expensive cabs in the world). A taxi from the airport costs roughly half that. Attractions are plentiful in central Zurich, Switzerland’s biggest city. Chief among them are Bahnhofstrasse, with its high-end shops and Teuscher chocolate flagship; and Cabaret Voltaire on Spiegelgasse, where the Dada movement was born. However, you may want to spend your time in the newer west end, known variously as Zurich West or Kreis 5. Conveniently situated between the Kameha and downtown, this former industrial district is now home to most of the city’s modern design shops and ateliers. The centrepiece is Im Viadukt, a disused late 19th-century viaduct whose archways have been turned into nearly 50 shops and restaurants. The grand yet quirky public space was designed by EM2N and Schweingruber Zulauf landscape architects. “Kameha” means “the unique” in Hawaiian. L’Unico, the ground-floor restaurant, takes its name from the Italian translation of the same word, and it serves house-made pasta complemented by meat and fish courses. Upstairs, Michelin-starred YOU offers French dining with a Far Eastern influence. 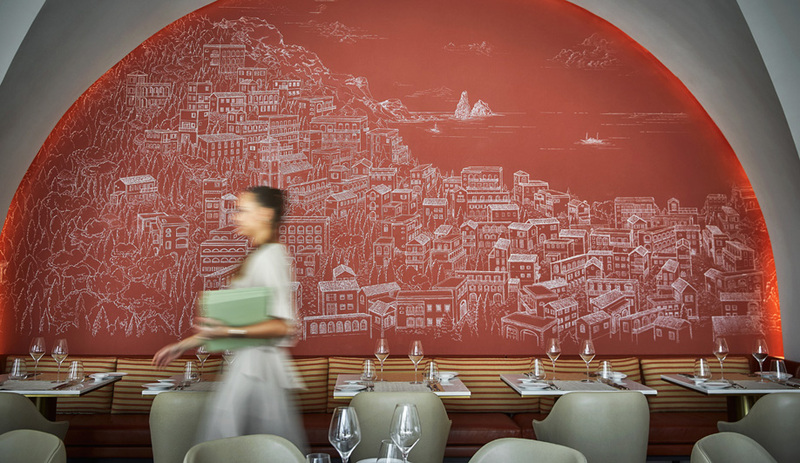 In Zurich’s District 7, the Dolder Grand hotel’s just-opened Saltz presents eclectic international dishes in an interior designed by Rolf Sachs. Drawing inspiration from the landscape, the Swiss artist has combined such unexpected touches as neon lights, salt, rocks and felt with custom furnishings and classic pieces by Eero Saarinen and Jean Prouvé to create a range of inviting environments. 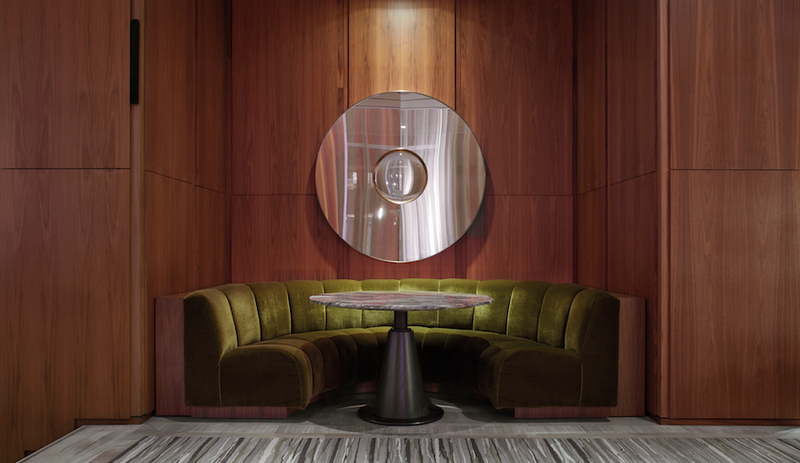 From the outside, the hotel is sleek yet non­descript, in keeping with its suburban surroundings.